I recently finish reading the book Getting to Yes (Fisher, Ury and Patton, 2012, 204 pages), and I can say that I am very pleased with it. Before commenting on the book, though, it is important to point that the title can be misleading: one can read it as “getting the other side to say yes to what you want out of a negotiation”. And this is all the book is not about. The book, which was written by some of the minds behind the Harvard Negotiation Project, talks mainly about the framework of principled negotiation. Meaning that instead of endless and ineffective time spent bargaining over positions, negotiators should give a step back and select some objective criteria under which the negotiation should proceed. By doing this, allied with a healthy separation between people and problem, negotiators can discover each other’s deep interests and come up with innovative and elegant solutions to the negotiated issues. The basic assumption here, which seems pretty solid to me, is that in most of the cases, when all interests are explicit, it is possible to find out some common ground that satisfies all parts involved on a negotiation. And if not, the book also points to the need of developing a good BATNA (best alternative to a negotiated solution). 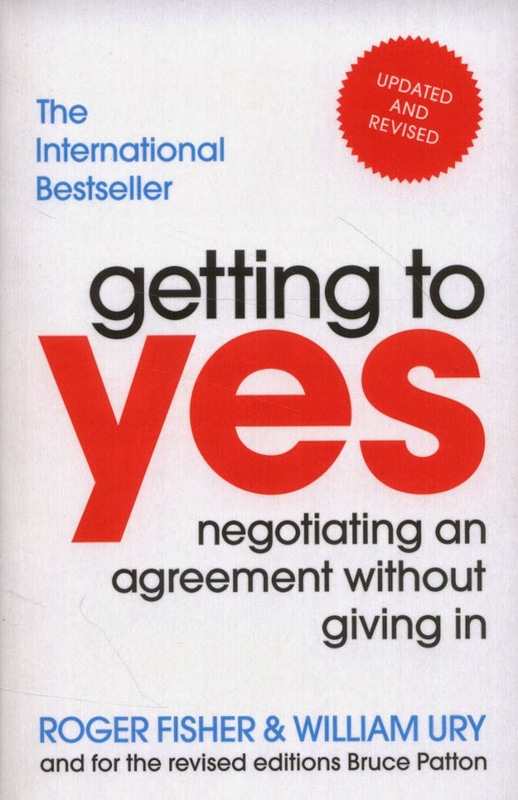 So, although some parts seem repetitive and commonsense, I really recommend reading through this book, since its ideas can be of great value, if practiced, to come to satisfactory outcomes to negotiations, and also preserve the relationships among negotiators.